Broadening your skillset can help you stand out from other competitive businesses as well as allowing for individual and companywide success and growth. 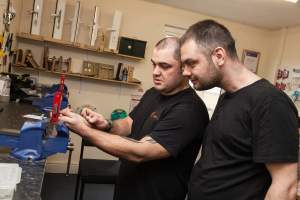 If you’re a part of the locksmith trade you will be all too aware that training is imperative for a professional to provide the kind of high quality service that customers are looking for. 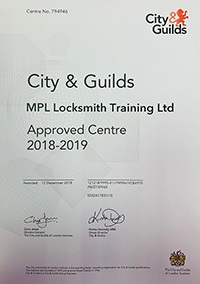 MPL Locksmith Training is a City and Guilds accredited training company, approved by MoD in support of the ELC Scheme, providing learners with a variety of excellent locksmith courses and highly experienced trainers, making them the best for locksmith training in the UK. 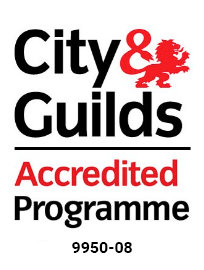 One of the most popular courses that MPL provides is the 5-day City and Guilds Accredited Specialist Locksmith Training Programme. This course is for anyone who wants to become a locksmith through a City and Guilds accredited programme and it is an all-practical course. 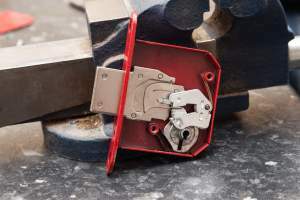 This training course is ideal for those looking for a comprehensive training course, which covers all aspects of locksmithing and provides you will the skills and knowledge to start your own locksmith business. 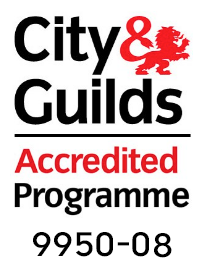 Upon completion of the course you will receive a City and Guilds certificate, a MPL 3 day course certificate and a MPL 2 day advanced picking course certificate. Over the 5 days you will received dedicated tuition, full coverage of all you need to know, a free Locksmith Bible worth over £100, a 24 hours helpline for course help and advice, specialist training exclusive to MPL and a comprehensive coverage of destructive and non-destructive techniques. NCFE 5 day Training Course: aimed at new starters to the industry, you will receive a NCFE Level 3 certificate, MPL 3 day course certificate and MPL 2 day advanced picking course certificate. You will learn the latest methods and equipment available relevant to the latest high security locks on the market. These valuable skills and business tips will help you to begin trading as a locksmith. NCFE 3 day Training Course: aimed at new starters to the industry, you will receive a certificate of achievement from both MPL and NCFE. You will learn the latest methods and equipment available relevant to the latest high security locks on the market. 1 day UPVC Repair Course: aimed at existing locksmiths with experience, you will receive an MPL 1 day uPVC course certificate. You will learn specialised training in uPVC access and repair techniques. 2 day Advanced Picking Training Course: aimed at existing locksmiths with experience, you will receive an MPL 2 day advanced picking course certificate. You will learn/brush up on lock picking skills, and how to take on additional lines of work such as warrant work with non-destructive entry at a high success rate. 2 day Access Control Course: aimed at existing/trading locksmiths, you will receive an MPL 2 day course certificate. You will learn all aspects of access control, from basic standalone applications to Net2 High Security solutions and advanced access control solutions. It can be difficult to choose the right company for training. 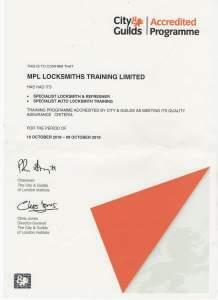 MPL Locksmith Training are officially recognised and approved by City and Guilds and NCFE. 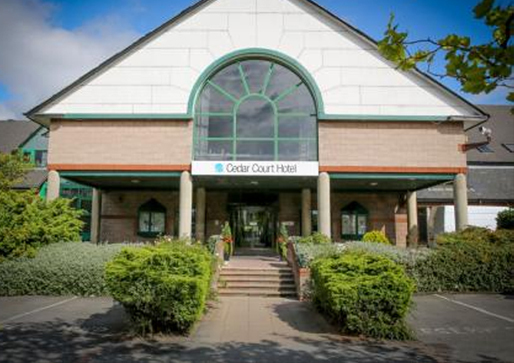 They are also proud to have their very own training centre, purpose built and can say that all courses are designed to offer specialised training in the areas you need to help you run your own business, and on top of that they are run by specialised trainers in the field. All course prices include free accommodation, breakfast, lunch and parking, with no added extras. If you’re looking to improve your skillset as a locksmith then you can visit www.mpl-locksmith-training.co.uk. Or call 01924 360444 for more details on all relevant locksmith training courses.